The Media and Ageism Project is a part of the SSM overall plan of Creating a Culture of Inclusion. Older adults receive messages conveyed by society in many ways, including the news media. These messages reveal societal attitudes that have an effect on how older adults perceive themselves and their value within their communities. Positive perceptions tend to encourage people to be active and to lessen chances for being isolated. The Ageism and Media Project has tracked data on how older adults are portrayed in the media in South and Central Saskatchewan. The first monitoring took place in February 2017. It gathered data about the reality of messages received through Saskatchewan’s commonly used news media: newspapers, radio and television. The results were analyzed and a report on the research completed in July 2017. The report has been used to raise awareness and influence the media raising awareness of attitudes towards older adults and the use of negative stereotypes and assumptions. Messages received through the media reveal societal attitudes that have an effect on how older adults perceive themselves and their value within their communities. 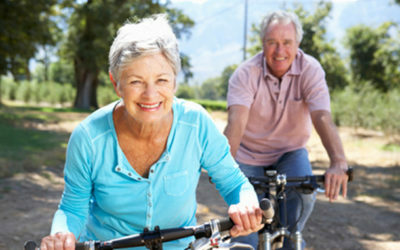 Positive perceptions tend to encourage people to be active and to lessen chances for being isolated. 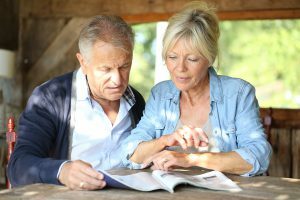 The research showed that older adults were often left out of news stories, even if the story had important implications for their lives. As well, societal stereotypes about older people were evident. An interesting aspect was that the monitors, many of whom were older adults, had internalized ageist attitudes and did not always notice the ageist stereotypes. Volunteers monitoring the same story reacted differently to ageist stereotypes that were present in the story. Volunteers agree to intensively monitor the news sources they can access – local newspapers (daily and weekly); local and/or provincial radio news broadcasts; local television news broadcasts (rather than national news broadcasts). Media Monitoring Days will take place from February 9 to 22, 2019. Monitors work in communities of varying sizes and locations in south and central Saskatchewan. Each Media Monitor volunteer uses a standardized set of monitoring tools to collect the necessary information. The monitoring forms are sent to Linda Anderson, Ageism & Media Project Coordinator at SSM, who supervises the collation and analysis of the data collected. 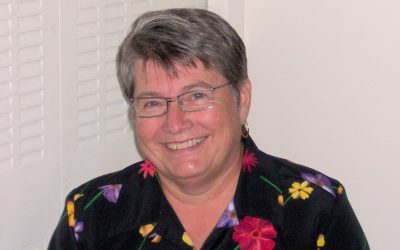 Linda offers training and support for volunteer monitors. There are two main aspects to the monitoring. The study will collect quantitative (i.e. numerical) data. This part of the project will provide a detailed picture of the numbers of older adults referred to in some way in Saskatchewan news; the types of story in which they are found, the roles they play in the news, etc. For each of the news media – television, radio and newspapers – we have developed a monitoring guide which sets out the areas in which information is needed and the range of answers a monitor will give. Monitors will be asked to choose a number or ‘code’ that corresponds to their answer and to enter this code on a coding form. Each monitoring guide will take monitors through step-by-step examples, showing exactly how to select codes for two sample news stories. The numbers, or quantitative data, tell only part of the story. For instance, we might find that older adults appear in 10 percent of stories about politics, but that does not show how the stories actually portray older adults. To get a more complete picture of news content, we need to analyse the quality of the coverage. This is the qualitative aspect of the monitoring. We will ask each monitor to apply qualitative analysis to some stories that they identify as suitable case studies. The Monitoring Guides give guidance on how to identify these stories. 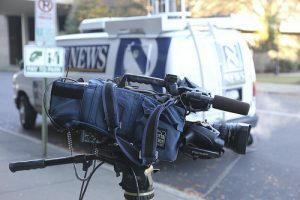 A media monitor agrees to monitor news stories in newspapers and on television and radio (as much as they can during a 2 week period – February 9 to 22, 2019). Stories that are about an older person (50+) or that are particularly relevant to the lives of older adults are analyzed using common response forms provided by SSM. Daily newspapers will be monitored on two Saturdays (February 9 and 16) and on 2 other days during the 2 week period (monitor’s choice). Weekly newspapers can be monitored any time during the 2 week period, depending upon when they are published. Television and radio can be monitored on 4 days during the 2 week period (monitor’s choice). All monitors will receive training, clear directions and support in how to collect the data and respond to the Ageism and Media Coordinator, Linda Anderson ageis@skseniorsmechanism.ca or phone 306-539-1281).